Celkon CT-9 : A reader’s Tab! 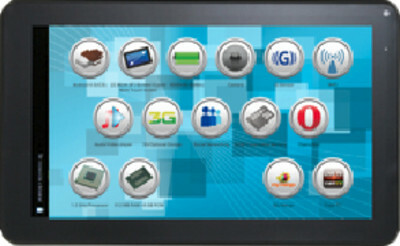 Celkon CT-9, is the least expensive Tablet PC which sports a 9 inch screen to the readers bliss. Yes, Celkon has a good name and fame now, so if you are looking for a Tab to read documents etc and not willing to spend much for only this, your search ends at Celkon CT-9. This Tab has cut down at the processor and memory front to make it up to 9 inch at such a hard to pass up price. The processor and RAM on board are 1.2 GHz and 512 MB respectively. Also, there is no camera. The battery is somewhat beefy and is 5000mAh to supply longer working hours on the Tab. So, all you fond of reading can buy it from Flipkart.com, where the best deal for this one awaits you. Also see Celkon other Tabs in the market purposefully made keeping in mind the various needs of the various customers.